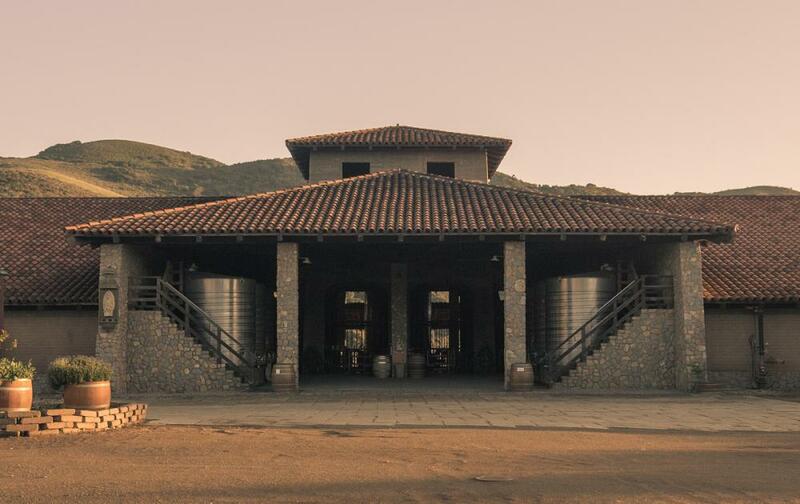 Planned for many years and completed in 2001, the winery complex is located in the center of our La Rinconada Vineyard. It represents and strikes the perfect balance between a tribute to California mission architecture, green construction techniques and state of the art wine production. 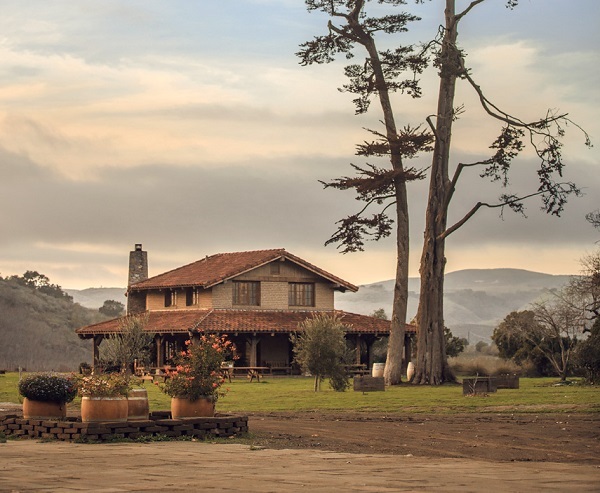 The walls of the winery and tasting room are constructed of adobe bricks, which were hand cast on the winery property prior to actual construction. 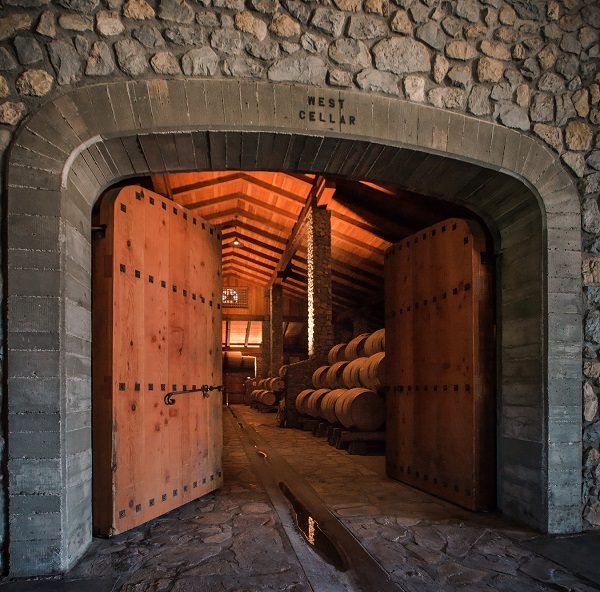 The insulating quality of adobe makes it an ideal building material for a winery. With walls thirty inches thick, there is little need for supplemental mechanical temperature control. As a result, we maintain the interior cellar temperature at 55°-65°, the perfect environment for the production and aging of the highest quality wines. The lumber needs of the winery were met with recycled timbers from a turn of the century sawmill building originally located in Washington State. This building was purchased, disassembled and its 500,000 board feet of first growth Douglas Fir was transported to Santa Barbara County. Along with the wood came the saw mill which was also reassembled and utilized on site as the timbers were re-milled to meet our construction needs. The winery is also home to a unique gravity flow system comprised of four tanks (30,000 gallons each) which are installed on hydraulic lifts within our winery tower. The crew then uses gravity to gently move the wine from tank to barrel or bottle without pumping and agitation of the wine. This gentle handling is another component of Sanford’s continual pursuit of improvement in winemaking.